The MED-EL Surgical Video Library offers complete surgical case studies from leading ENT surgeons. Created in cooperation with ARRI, these high-resolution videos capture precise movements and detailed structures with incredible clarity. Access is free and the easy-to-use library is optimized for desktop or mobile viewing. Today, we’re sharing a step-by-stepsurgical case study of implanting the BONEBRIDGE Active Bone Conduction Implant. As part of our MED-EL Surgical Video Library, this case is presented in full HD quality that gives you a first-person view of the surgical procedure for BONEBRIDGE. In this detailed surgical case study, Prof. Dr. Joachim Müller guides us through his techniques for implanting BONEBRIDGE. 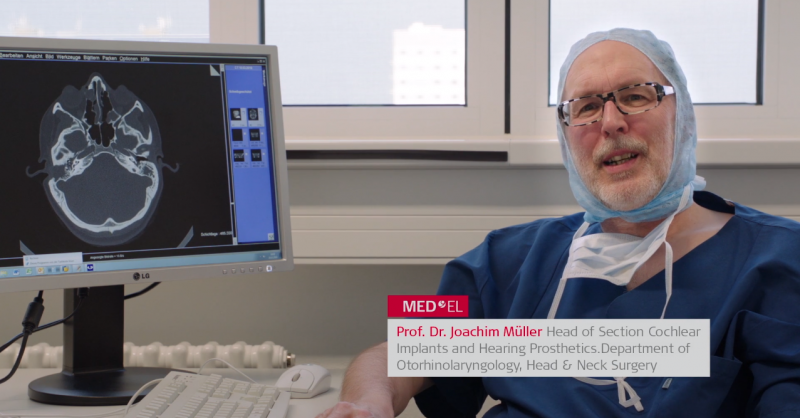 Prof. Müller is the Head of the Cochlear Implants and Hearing Prosthetics Section, Department of Otorhinolaryngology, Head & Neck Surgery at the University of Munich. In this case, Prof. Müller’s patient is a 22-year-old female with conductive hearing loss and chronic otitis media with effusion since childhood. After using a bone-conduction headband, she decided for a bone conduction implant. This is a straightforward case that offers an excellent view of Prof. Müller’s techniques. 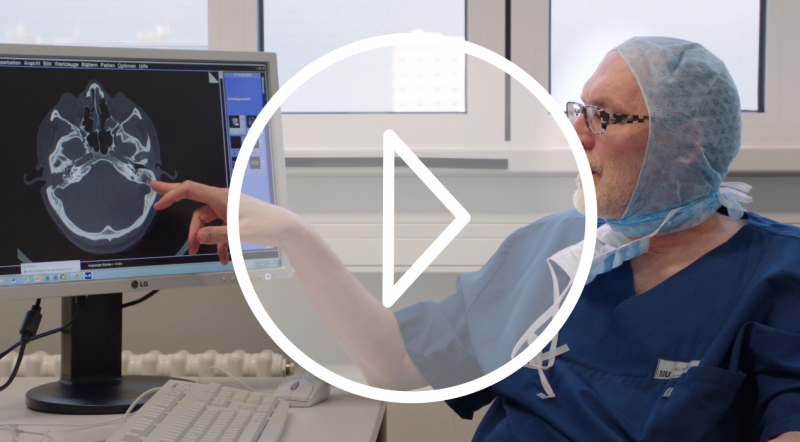 For this patient, Prof. Müller utilizes 1mm BCI Lifts to ensure best implant placement. Watch now: Prof. Joachim Müller demonstrates his surgical techniques for implanting the BONEBRIDGE Active Bone Conduction Implant. Ready to learn more about surgical outcomes with BONEBRIDGE? In this article, we look at what makes BONEBRIDGE such a reliable choice for bone conduction—including a detailed white paper with complete literature review. Want to know more about using BCI Lifts? Watch the surgical animation below to see step-by-step guidance on how to use the BCI Lifts. This technical animation gives a detailed overview on how to use the BCI Lifts and BCI Sizer Kit. Have a question about using BONEBRIDGE in your clinic? Let us know with our simple contact form or leave a comment below. Don’t forget to subscribe to get all the latest articles sent right to your inbox!